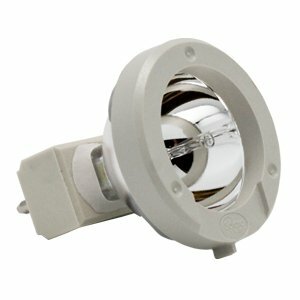 Ushio AL-1824 21W Solarc Metal Halide Light Bulb Lamp - 21 Watts, MR11, Metal Halide. Replacement lamp for LB24. S?larc�, a unique metal-halide arc lamp technology, delivers bright, daylight-quality light while requiring minimal power. These compact, rugged and highly efficient lamps have been integrated into a host of products, including fiber optic illuminators for medical and industrial endoscopy and portable sources such as bicycle lights, dive lamps and industrial flashlights. S?larc� lamps offer a three-fold increase in efficiency over comparable halogen sources. Whether it's more intense light driven by an equivalent amount of watts or equivalent light output that lasts three times as long, our S?larc� lamps provide OEMs with significant cost and performance advantages.